June 30, 2016 Christian JonesComments are off for this post. Just a reminder of the steps to take in any surgical emergency. These are not evidence-based. The attached files are nicely formatted, and additionally include contact info and a reading list. Share and enjoy. As always, these files that are the sole work of Christian Jones are hereby released into the public domain, with no rights reserved. May 13, 2016 May 13, 2016 Christian JonesComments are off for this post. I wait for the light to change. Every time. I hit the scuffed but still reflective silvery button and then stare at the other traffic light waiting for it to go from green to yellow to red and then for the hand to turn into the little walking avatar. Every morning. Every evening. Every time I’m walking across the street from the parking garage to the hospital or back. This is not really a normal thing to do in Baltimore. I’m in no way accustomed to seeing, well, anyone else do this. I occasionally get little looks while I’m standing there on the corner and others are crossing the street. “I guess he’s waiting for someone,” I imagine they’re thinking. In most cases, I doubt it even occurs to them that I’m standing there waiting for the proper crossing signal before I step into the street. January 28, 2016 Christian JonesComments are off for this post. The Behind the Knife team put together a great last-minute ABSITE review podcast to cover those annoying issues asked every year which require memorization. However, they noted that statistics wasn’t their strong point; I’m happy (and only mildly embarrassed) that it’s one of mine. December 10, 2015 Christian JonesComments are off for this post. Kost A, Chen FM. 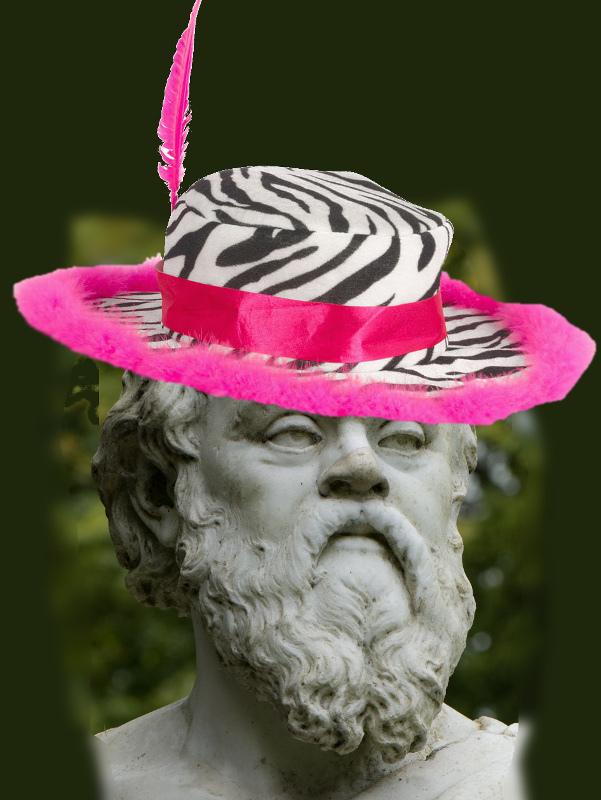 Socrates Was Not a Pimp: Changing the Paradigm of Questioning in Medical Education. Academic Medicine, January 2015 90(1):20-24. Yes, I wish the article were open access, but it’s still worth a read. And, you know, it gives me the inspiration for this picture. Legalities: Image modified from “Socrates” by Ben Crowe (https://www.flickr.com/photos/croweb/2836991287) and “pimp hat” by Beth Kanter (https://www.flickr.com/photos/cambodia4kidsorg/2274922356), used per Creative Commons-Attribution-2.0 License. July 16, 2015 June 30, 2016 Christian JonesComments are off for this post.